We know that a television will ruin our home decor sometimes. While, a big television may be amazing when you watching your favorite movie or TV show. 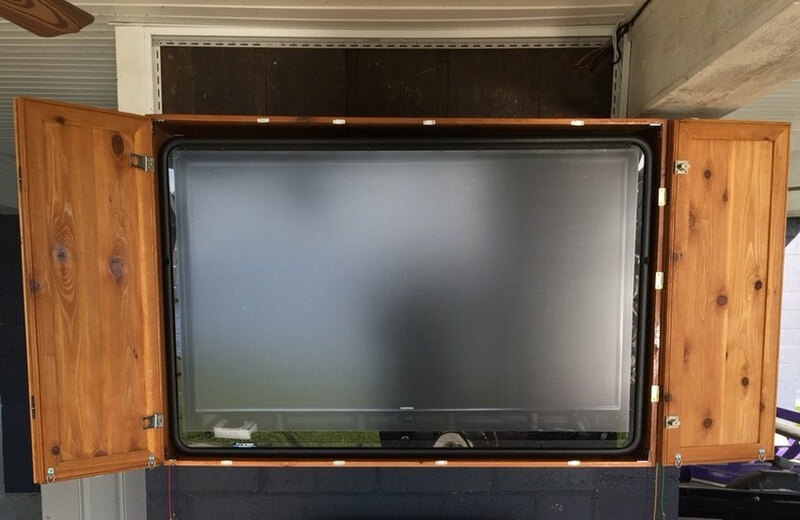 However, I believe that there are some people out there who trying to hide away their TV when they don’t want to use it even though they’re proud of their flat screen TV. 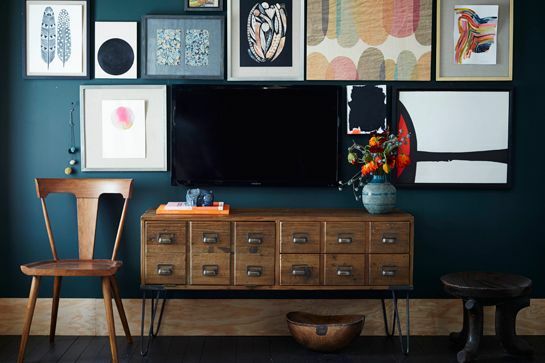 You can make use of a large wall space by creating a gallery or various artworks that included the television. 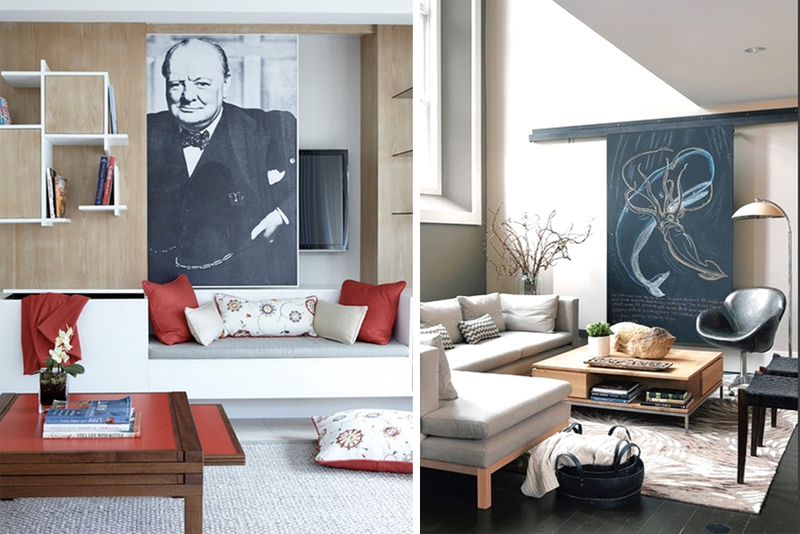 You just have to pick some interesting or beautiful frames and choose images to fit those frames. 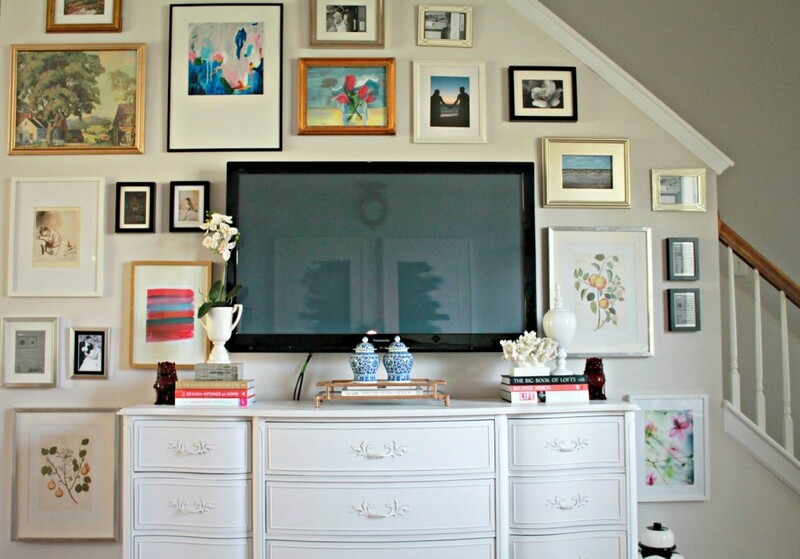 This ways can create an illusion which all of your hangings look like they belong together with the TV. 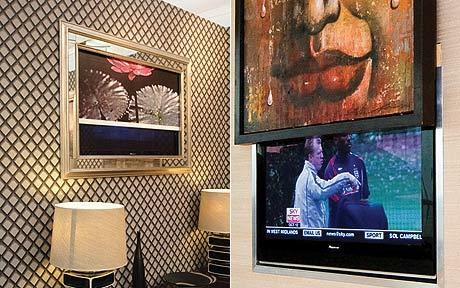 You can choose to cover your wall-mounted TV with either a piece of artwork or a large mirror. (or you can DIY it) This way is to drive the attention away from your TV screen and focus on your home decor. Hide the TV behind closed doors, that is! 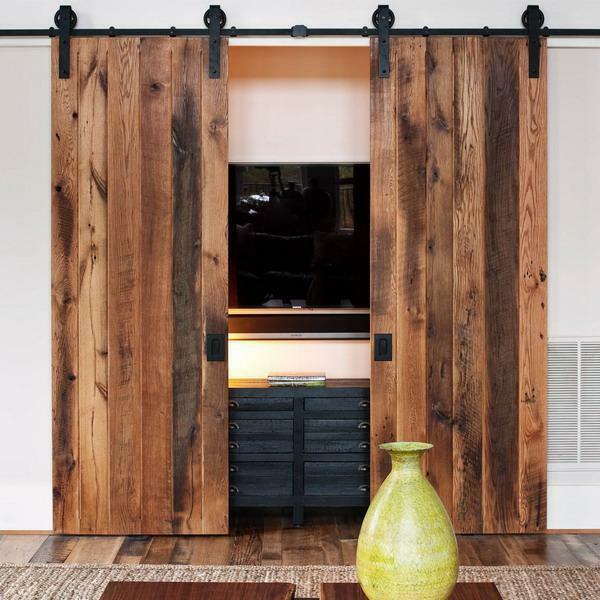 Making wooden doors to hide your TV is probably a smart idea ever! The doors are installed on tracks so that they actually to cover the TV when it is not in use. When you want to watch, just open the doors and enjoy your movie time. 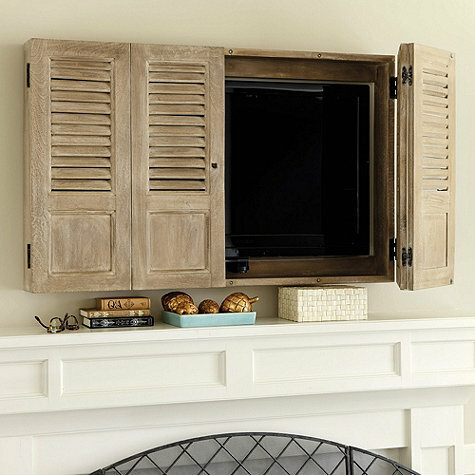 This is another built-in cabinet solution, this approach allows for an different view when the TV screen is hidden. 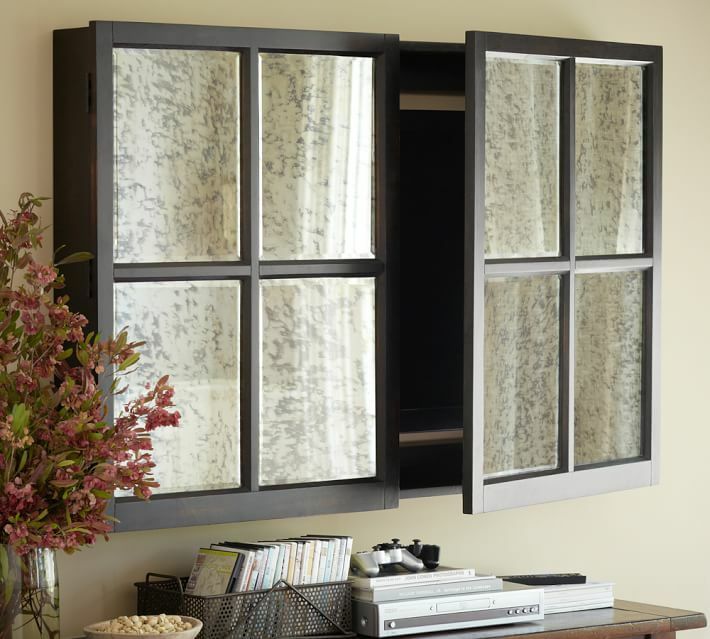 Mimicking a pocket door, a piece of artwork slides up or down and locks into place when you want to watch the TV. 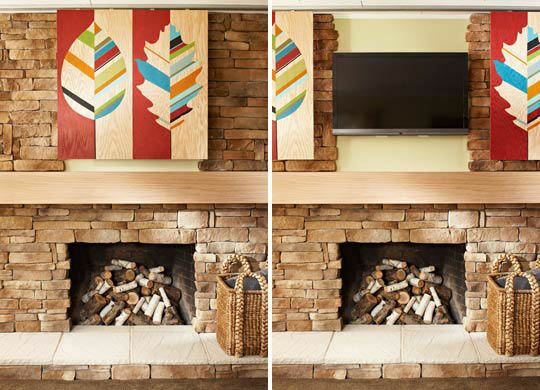 If you want to add some decor to the spot where your TV sits, you can use the 2 or 1 large panels to display artwork that actually hides the TV behind. 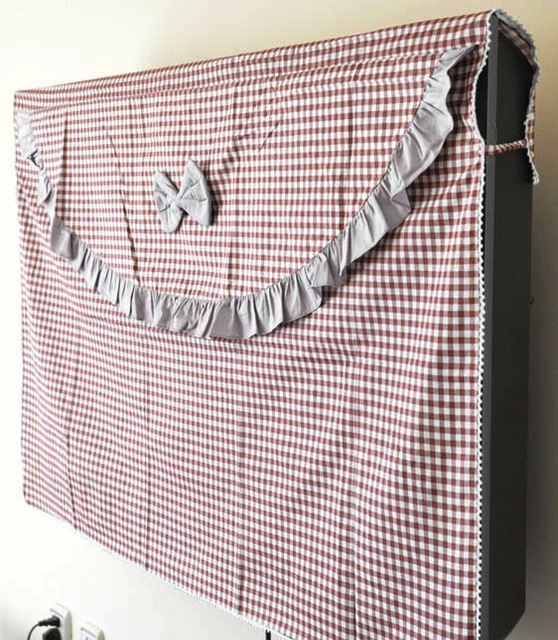 You can either DIY the panels or buy coordinating pieces of artwork from the store. This is a awesome project for you to release your talent because you can decorate the panels yourself with just some paint or stain and a bit of imagination. 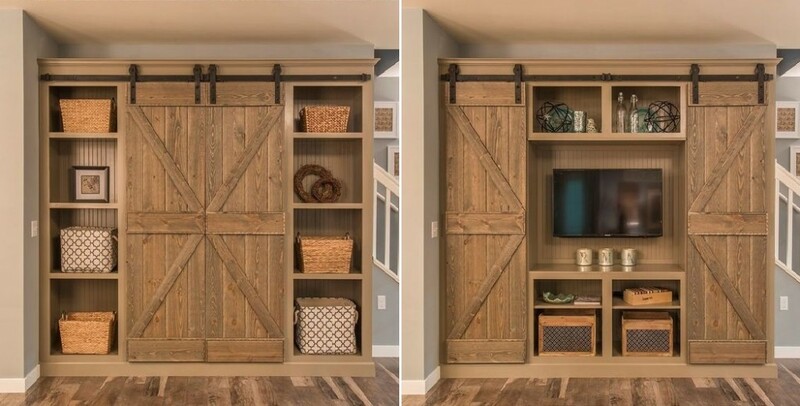 Although somewhat elaborate, repurposed barn doors make the perfect addition to a rustic decor and it is a very interesting way to hiding your TV. This kind of unusual solution is sure to start a conversation when you have visitors. 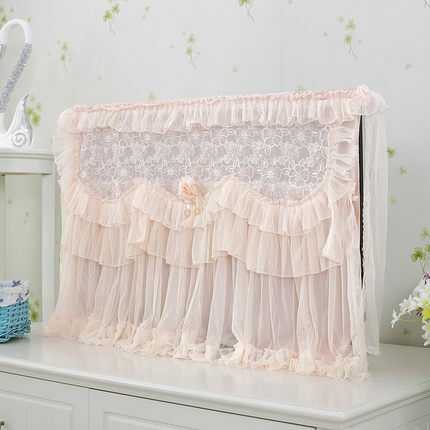 Purchase a beautiful curtain that matches your decor to hide your TV so you can quickly hide and reveal it. 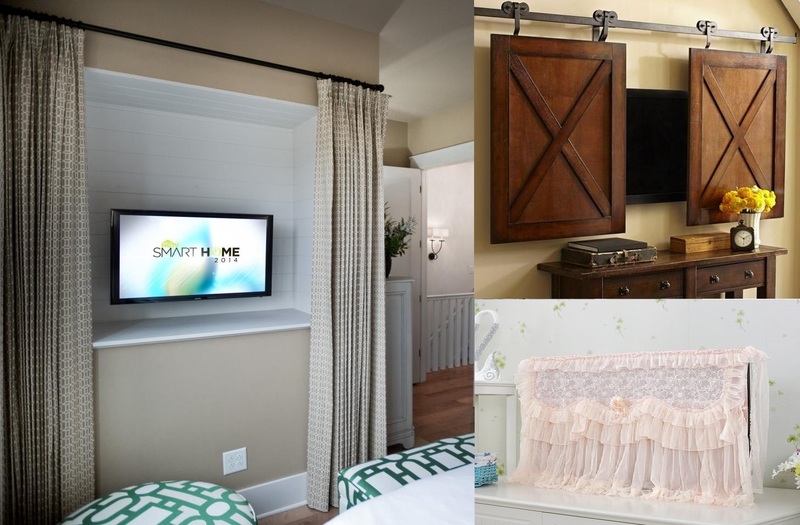 Alternatively, you can hang the TV between 2 smaller windows and install a curtain rod to extend the width of both TV and windows. In this way, you can create the illusion of a full wall of windows and hide your TV at the same time. Last but not least, you can buy some fabric matches your home decor or the color of wall painting. and make it as a pocket so you can cover the TV inside the Fabric when not in use. 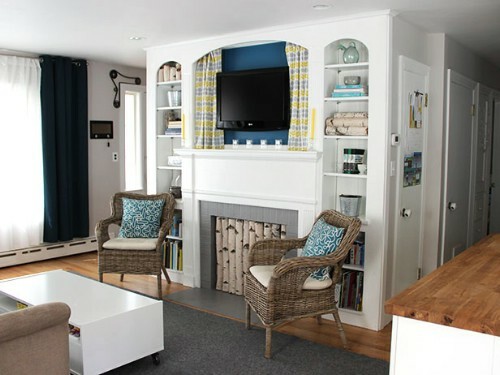 This is the most cheapest way to hide your TV away if you don’t want it being shown.